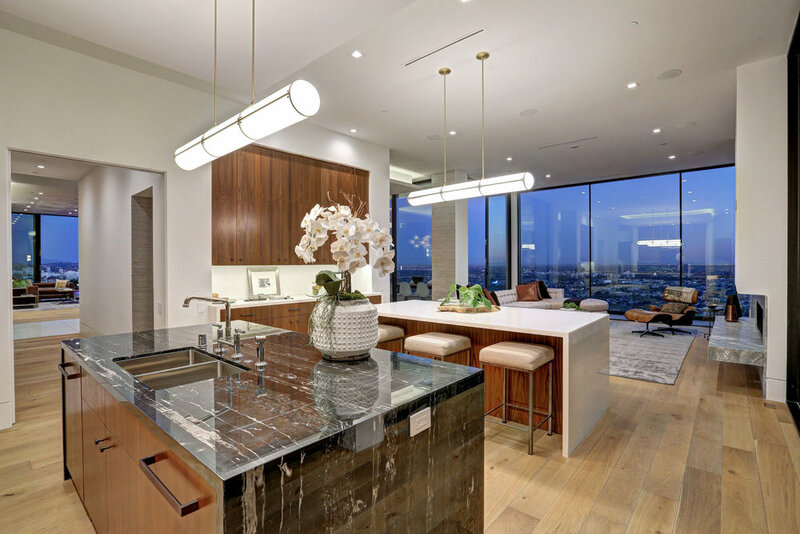 Perched on a promontory with jetliner city to ocean views, this magnificent new Modern home weaves classic mid-century design with cutting edge craftsmanship to create a one-of-a-kind living experience. 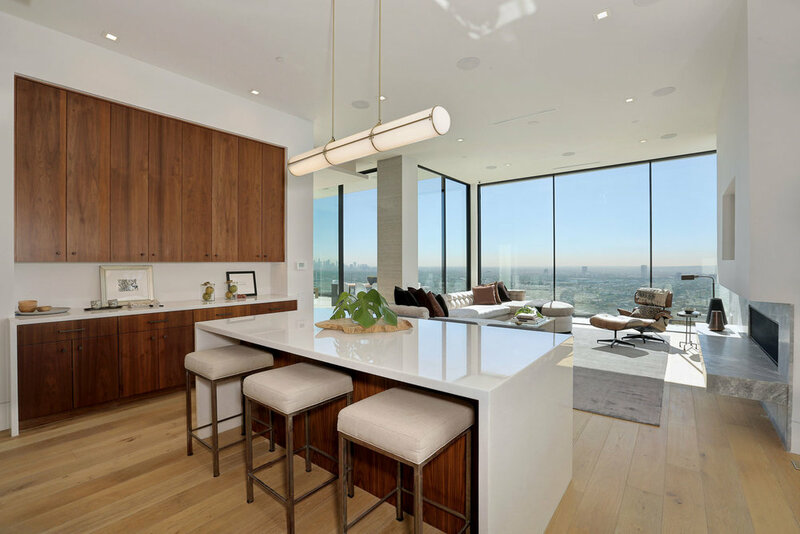 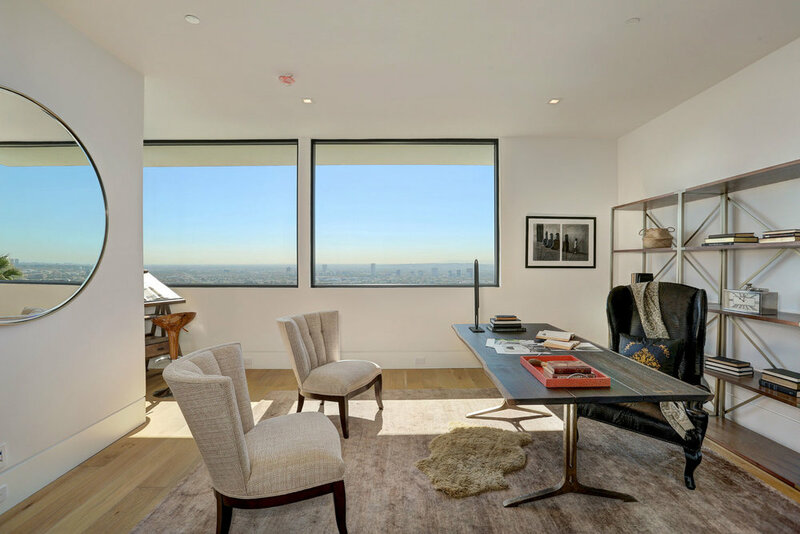 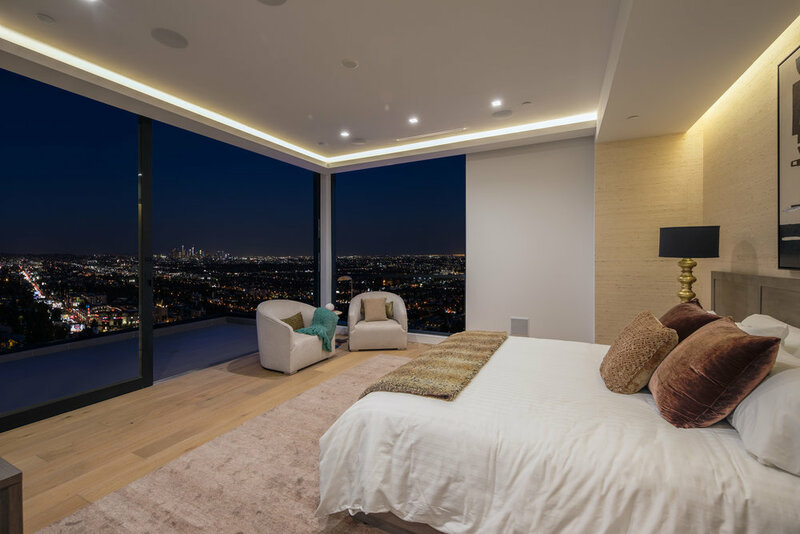 Conceived by award-winning designer Tim Campbell, The Sunset View Home features walls of glass and retractable doors to highlight the panoramic city views from every room. 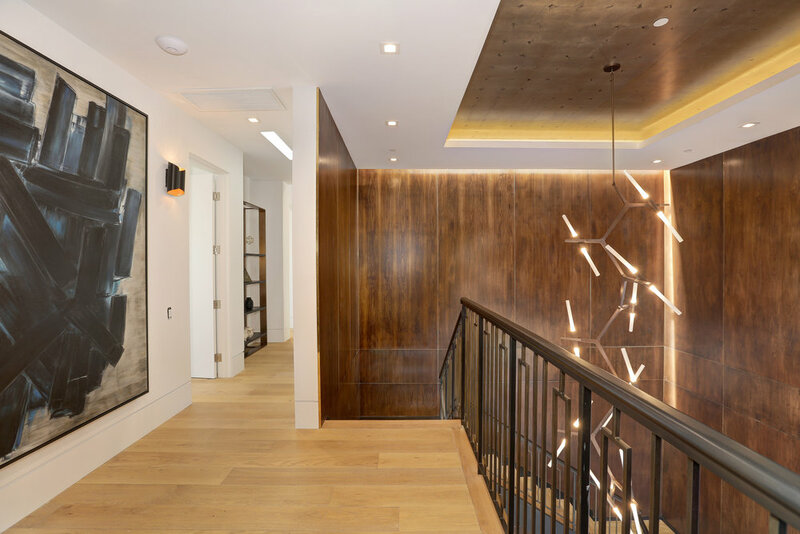 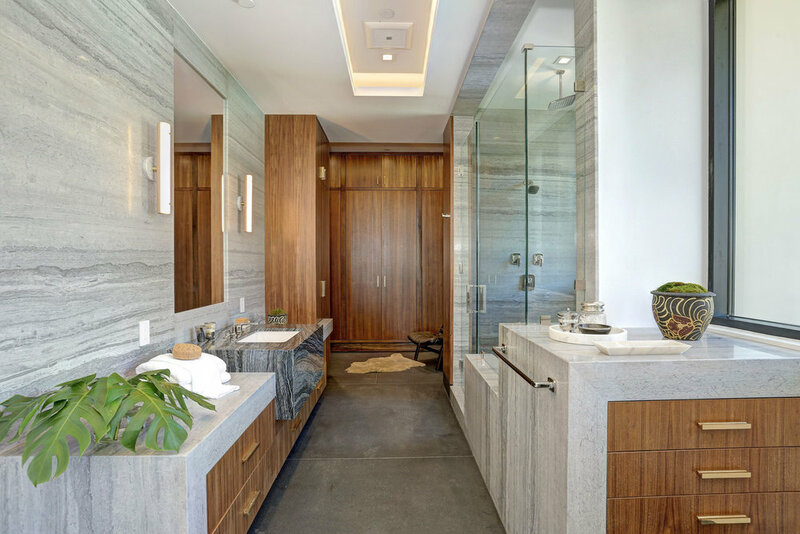 An artful blend of terrazzo, antique brass, wood and natural stones are reimagined to reflect the best of mid-century design. 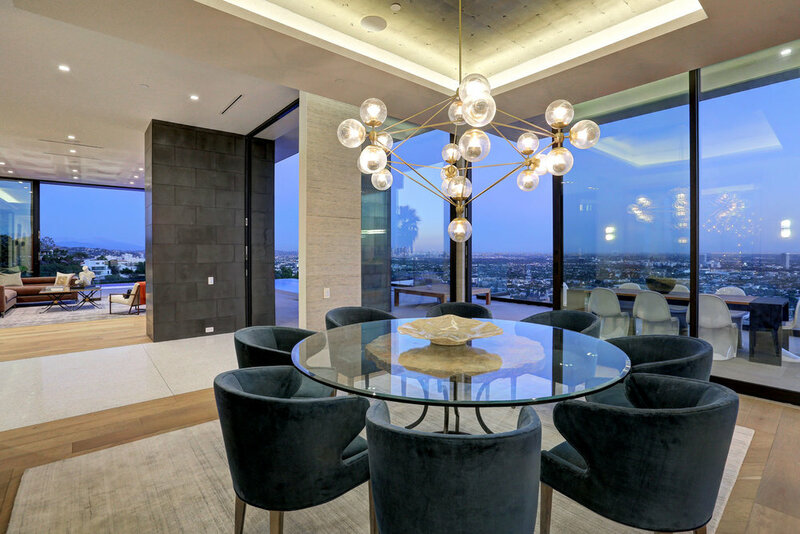 Built for large-scale entertaining, the home features a spacious eat-in kitchen, open-spaced living and dining rooms, lounge with bar, movie theater, gym, sauna, elevator & a versatile great room with cocktail bar. 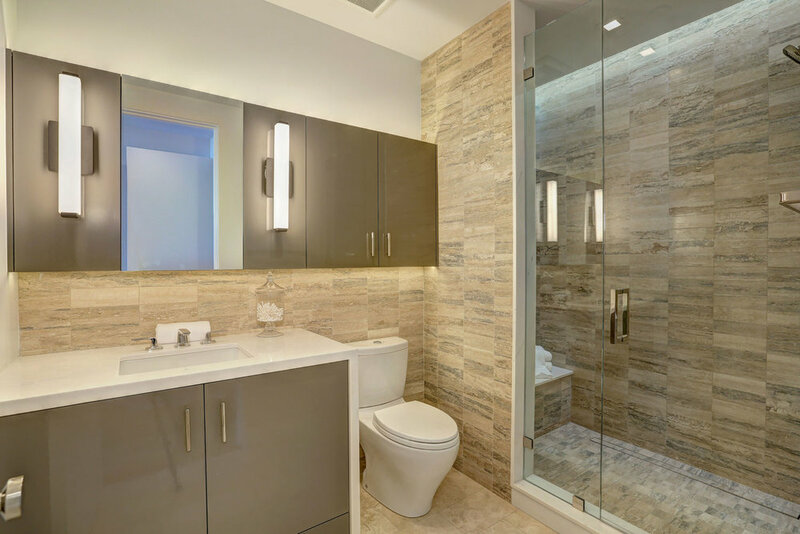 There is a sensational master suite with gorgeous dual bathrooms and closets as well as four additional bedroom suites. 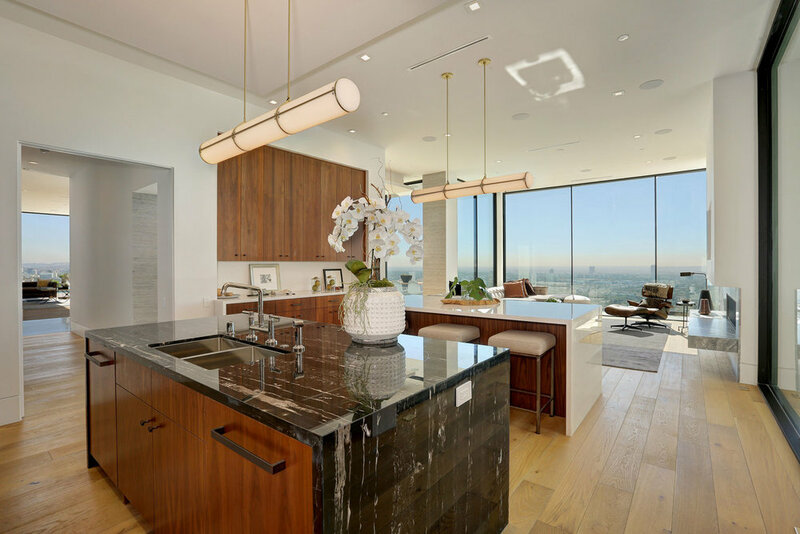 The custom infinity edge pool, spa and wrap around terraces spotlight 180-degree views of the city. 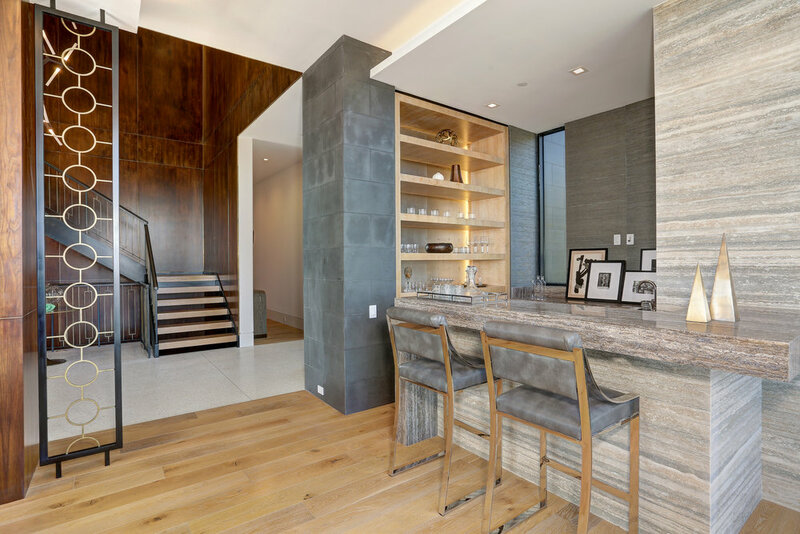 Set back from the street up a gated driveway on a quiet cul-de-sac, the property boasts a large motor court and a 3-car garage. 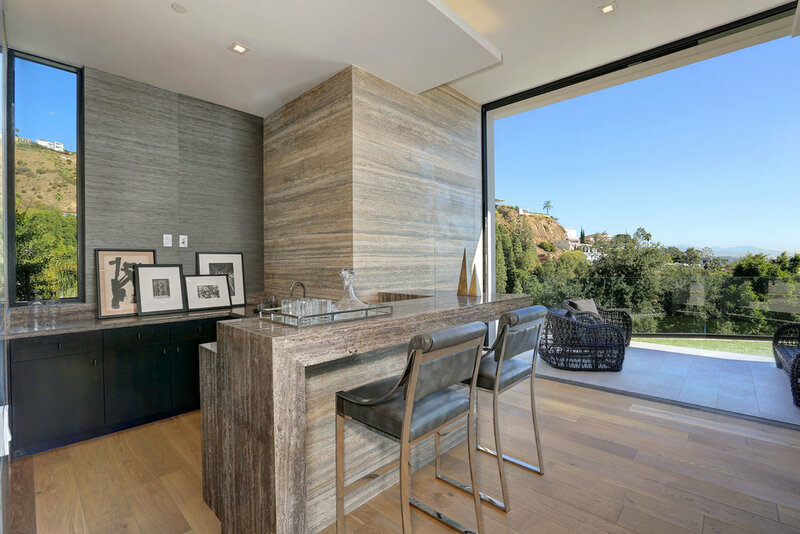 This magnificent home is located in the hills just above the Chateau Marmont and the famed Sunset Strip. 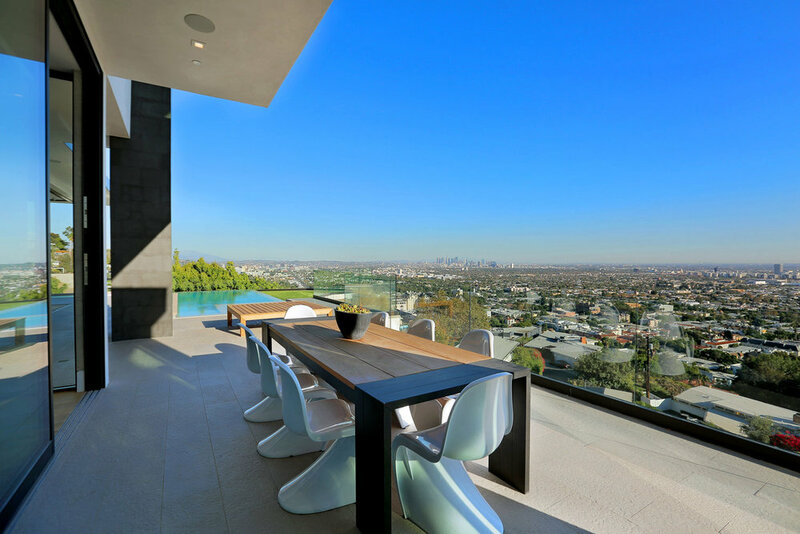 Magnificent living!